No-one thought this would happen, including the band. 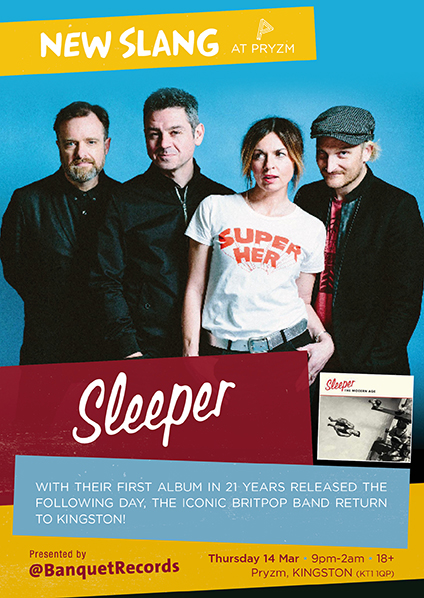 Sleeper have a new album out. It’s their first in twenty-one years, since the heady days of Britpop, and it’s called The Modern Age. The band used to be made up of three guys and a girl, now they’re made up of a novelist, two music lecturers and the ex-Prodigy bassist. All the old traits are in place - observational lyrics, catchy hooks and producer Stephen Street, but they’ve also been shrewd enough to make an album for The Modern Age (see what I did there?) LP and Cd on Gorsky Records.